in this Boystown driveway Sunday evening, police say. A man who claimed to have a gun robbed a group of people as they worked on a car behind an apartment building in the 500 block of Roscoe Sunday evening. One of the victims suffered head injuries after the offender pulled an object from his waistband and struck him in the head and face, police said. Other victims said the object was a handgun. At least three people were gathered around the car when the offender approached, claimed to have a handgun, and demanded their valuables around 8:20PM, police say. The victims' screams for help prompted 911 calls from several neighbors, one of whom said the gunman escaped by running through the Roscoe Street pedestrian tunnel toward Belmont Harbor. A CTA worker, tipped off to the offender's description, called police around 9PM to report that the gunman had just boarded a southbound train to State and Lake, but police were unable to catch up with the suspect. Detectives today reviewed surveillance footage from the Belmont platform, police said. According to victims and witnesses, the offender is a black man in early 20's, 5'10" tall, 175 pounds, wearing a dark hoodie and red pants that are decorated with flames. In another Boystown robbery Sunday, a man was held at gunpoint and forced to withdraw money from an ATM near Belmont and Clark, police said. The offender in the 3:45AM hold-up is described as male, black, 6-feet-tall, and thin. 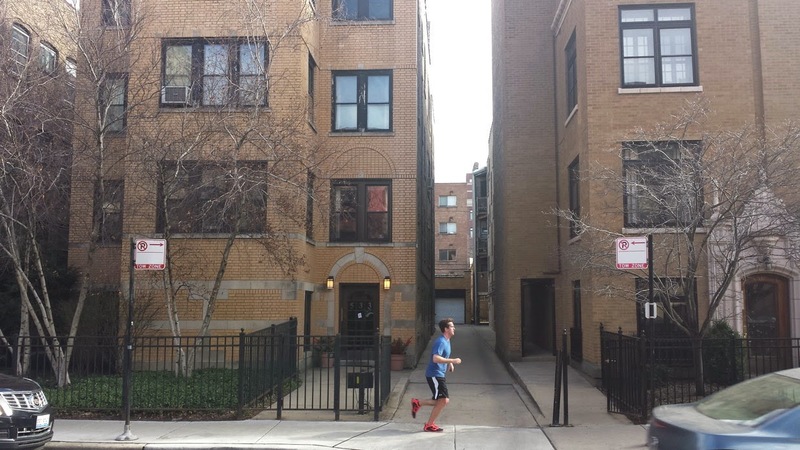 He wore a black jacket or sweatshirt with white stripes or lettering on the front and was last seen running northbound on Halsted from Belmont. (CPD case HY218807) UPDATE 4/17: Police have determined that the robbery took place at an ATM in the 3500 block of Clark.